Beyond Black festival is back and bigger than ever for 2019. 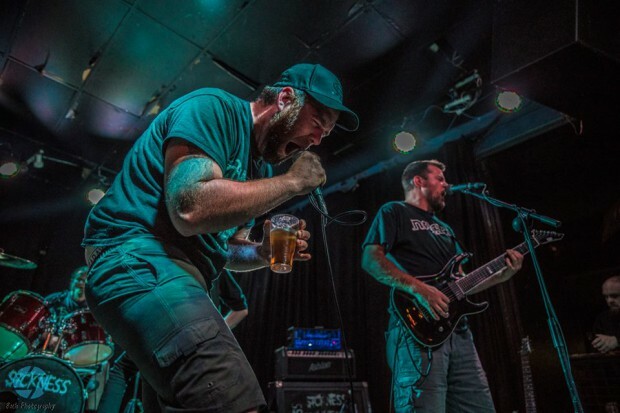 One night at Ballarat’s Eastern Station on the 22nd of March, and one night at Collingwood’s Bendigo Hotel on the 23rd, adds up to two nights of epic heavy metal being played for a great cause. For decades, heavy music lovers have felt the catharsis of flailing around to break downs in moshpit’s, those feelings have even now become science backed… In a study conducted by researchers at the University of Queensland, Dr. Genevieve Dingle and an honours student Leah Sharman found that there is a calming element to extreme forms of music, helping participants feel the full gamut of their emotions and becoming more relaxed as a result. Keeping with this spirit, the festival has raised over $5000 for beyond blue (a not for profit organisation that helps people maintain good mental health) in the last two years, in an event full of awesome tunes that also aims to shed some light on mental health, particularly in the arts. Beyond Black will showcase 16 heavy metal bands who are all offering their time free of charge. If you need someone to talk to, Lifeline can be contacted 24/7 on 13 11 14. Beyondblue can also be contacted on 1300 22 4636. Photo sourced from Nemesium socials.